Metabolic disease is associated more closely with the accumulation of abdominal adipose in specific visceral depots. Recent studies have implicated omental and mesenteric adipose tissue in obesity-related insulin resistance, atherosclerosis, and type 2 diabetes. To provide the most relevant systems for investigating obesity-related morbidities, ZenBio is offering visceral derived human preadipocytes and cultured adipocytes to the research community. Preadipocytes are isolated from omental, mesenteric, or perirenal adipose tissue and are tested for their ability to differentiate in culture to mature adipocytes. 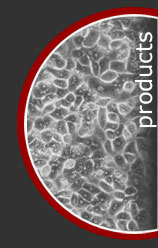 Preadipocytes are available cryopreserved or plated and mature adipocytes are available in a variety of plated formats. Most cells are derived from obese non-diabetic patients (BMI>30), but there are limited quantities of preadipocytes and adipocytes from patients of BMI <27 as well as some lots of cells available from diabetic patients. Lots derived from multiple patients are also available as Pooled- or Super-lots. There are limited quantities of donor matched omental and subcutaneous preadipocytes or cultured adipocytes for studies comparing the two depots. The greater omentum is the largest peritoneal fold within the abdomen and has an immunologic function. The omentum aids in isolating peritoneal infection and absorbing contaminants through the mesothelial stomata. Adipokines and fatty acids from this depot have direct access to the liver through the portal circulation which may lead to hepatic dysfunction. Mesenteric adipose lies within the thin layers of the peritoneal mesothelium connecting the small and large intestine. Adipose accumulation within this depot correlates with an increased risk of metabolic disease. Perirenal adipose resides near the kidneys outside the peritoneal cavity. Fat from this depot has not been correlated with increased risk for metabolic disease. Specially formulated media are available for use with our omental preadipocytes and adipocytes. Moreno-Navarrete J.M., Liνml;ares-Pose L., Sabater M., Rial-Pensado E., Comas F. , Jové M.,Latorre J., Ortega F., Ricart W. , Portero-Otin M. , López M. , Fernández-Real J.M. De Silva, N., Samblas, M., MartÃ­nez, J.A. et al. J Physiol Biochem (2018). Resistin exposure of human omental adipocytes affects transcriptional regulation processes involved in cellular differentiation and maintenance. Circulating Pigment Epithelium-Derived Factor Levels Are Associated with Insulin Resistance and Decrease after Weight Loss. Sabater M, Moreno-Navarrete JM, Ortega FJ, Pardo G, Salvador J, Ricart W, Frühbeck G, Fernández-Real JM 2010 J Clin Endocrinol Metab 95:4720-4728. Synthesis and Secretion of Plasminogen Activator Inhibitor-1 by Human Preadipocytes. David L. Crandall, Elaine M. Quinet, Gwen A. Morgan, Dennis E. Busler, Barbara McHendry-Rinde, and John G. Kral J. Clin. Endocrinol. Metab., Sep 1999; 84: 3222 - 3227. Study of the proinflammatory role of human differentiated omental adipocytes. Bassols, J., Ortega, F. J., Moreno-Navarrete, J. M., Peral, B., Ricart, W. and Fernández-Real, J.-M. (2009), Journal of Cellular Biochemistry, 107: 110-1117. doi: 10.1002/jcb.22208. LIGHT is associated with hypertriglyceridemia in obese subjects and increased cytokine secretion from cultured human adipocytes. Bassols J, Moreno-Navarrete JM, Ortega F, Ricart W, Fernandez-Real JM (2010) Int J Obes 34:146-156. Characterization of herpes virus entry mediator as a factor linked to obesity. Bassols J, Moreno JM, Ortega F, Ricart W, Fernandez-Real JM (2010) Obesity 18(2): 239-46. doi:10.1038/oby.2009.250. Rafael Pérez-Pérez, Eva Garcia-Santos, Francisco J. Ortega-Delgado, Juan A. Lopez, Emilio Camafeita, Wifredo Ricart, José-Manuel Fernández-Real, Belén Peral.